When my kids were small there was no Ipads, cellphones or internet. Those things came later. We did have one TV with cable and it was in the living room. They had TV’s in the bedrooms, but they could only watch approved VCR tapes. Ok, So that just dated me big time. I wonder how parents control what their kids are seeing on tv and on the internet. 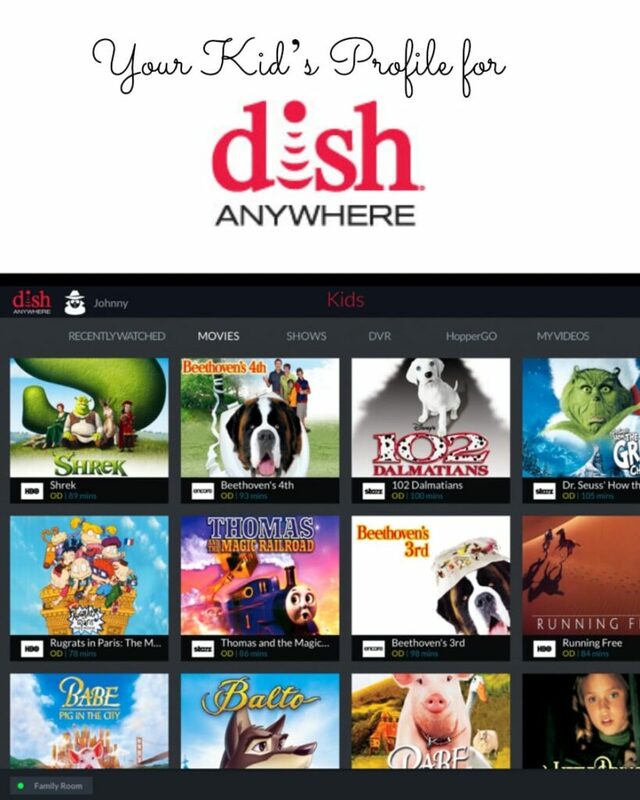 Dish Anywhere has just made the lives of parents everywhere much easier. 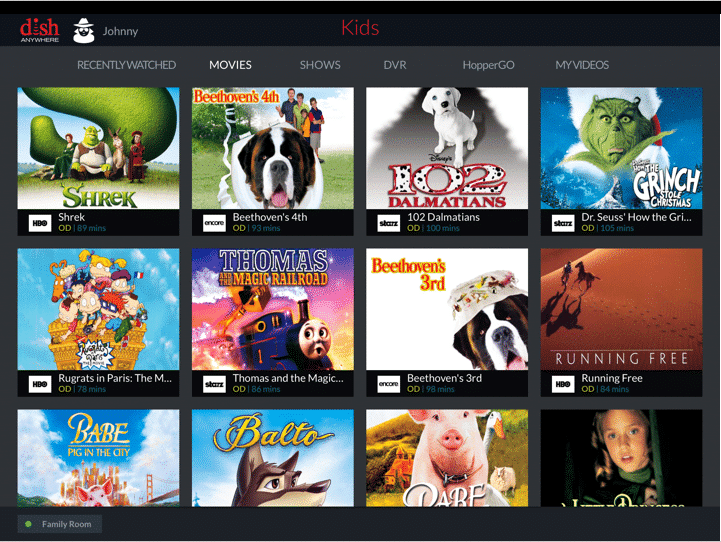 You can now control what your kids are watching on their Ipads, cell phones and on the TV. – Profiles integrate independent age-based ratings from Common Sense Media to filter entertainment in Kids’ Profiles, based on the child’s age (up to 13 years). – Filters provide age-friendly TV shows and movies, so parents can be assured their children are watching appropriate content. – A new lock feature ensures that when the child exits DISH Anywhere and returns later, they will automatically be redirected to his or her designated profile and only able to access their age-appropriate DVR and on-demand content. 1. From your DISH Anywhere app home screen, select the “Settings” icon from the bottom right-hand corner. 2. 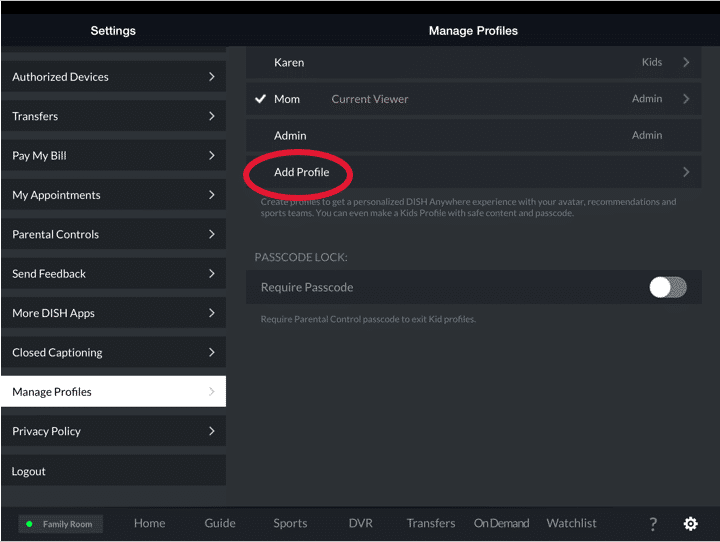 Next, select “Manage Profiles.” This is how you will begin the process of setting up a Kid’s Profile. 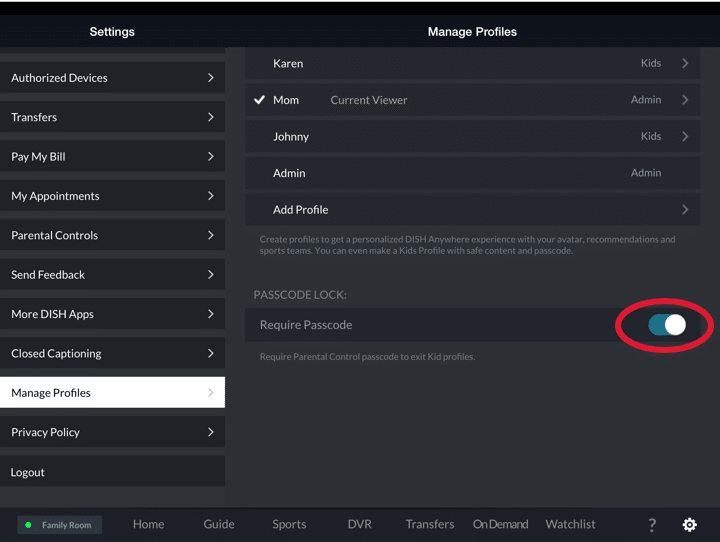 Here you have the ability to add additional administrator or user profiles for other members in your household who aren’t children, or don’t need age restrictions. For more information on DISH Anywhere’s individual profiles, check out this blog post. 4. Once your new profile has been added, you will need to add specific details to optimize your Kid’s Profile. 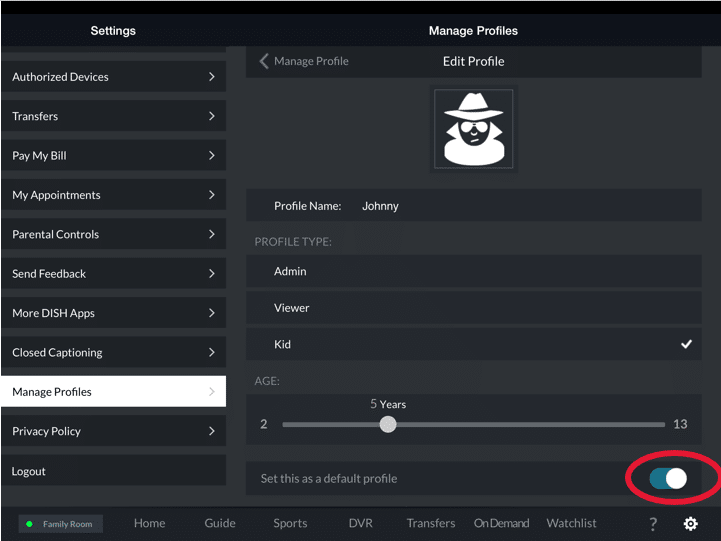 First, personalize the profile by adding a name–we chose “Johnny.” Second, designate this profile as a “Kid,” so DISH Anywhere knows to apply age settings. Lastly, use the sliding bar to select your child’s specific age to ensure they can access movies and TV shows deemed age-appropriate by Common Sense Media. 5. 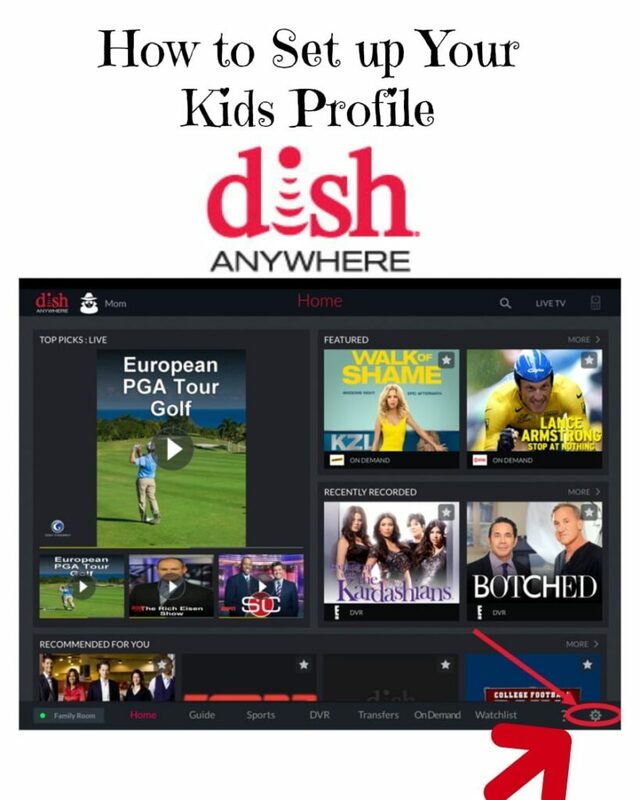 If your kid is lucky enough to have his or her own mobile phone or tablet, or you don’t use DISH Anywhere as frequently as your child does, you can set your Kid’s Profile as the default profile. We have done that, below, with Johnny. 7. Enter the passcode of your choice. Now, you are all set up with your new Kid’s Profile! To add additional Kids’ Profiles, simply repeat the steps outlined above. Below is an example of what the final Kid’s Profile for “Johnny” looks like once we completed his set-up. Now that you have your kids profile all set up, you can be sure your kids are watching approved programming. You can read more about my experience with Dish HERE. Connect with Dish Network via their Facebook and TwitterPages. If you would like to switch to DishNetwork you can visit the Website Here. I am 100% satisfied with DishNetwork and I am sure you will be also. Dish is coming a long ways in the television world. I can remember the days when it was gigantic discs in your yard! Our neighbor uses Dish and she said it’s very cost effective that’s why she loves it. I love the different kiddie programs available. This is such great feature!! Netflix has a similar feature and I love that every show available is kid friendly!! This sounds like a great product for Dish subscribers. I have cable, but we get a similar service. I don’t have dish but my brother swears by it. Looks like they have great programs lined up for the kids. I love that you can customise this for your children. My son really likes being able to select his own movies or shows. I’m all about parental controls, my kids don’t need to be exposed to adult content. They can do that once they become adults. This is an awesome feature…and the tutorial seems pretty easy to follow!